People who have stopped with me know that Hypnotherapy is the easy way to stop smoking. There is a special offer for you at the bottom of this blog. Please pass it on or share this blog to help other people stop smoking and take advantage of this special offer. Is it time for you to give up smoking? Giving up smoking is one of the best things you can do to dramatically improve your health and life expectancy. On average, non-smokers live around a decade longer than smokers. As well as improving your own health and wellbeing, you’ll also give your family peace of mind in the knowledge you’re doing everything you can to be with them for as long as possible. The benefits of giving up smoking are endless, from better breathing to saving on average £2,920 per year. You can work out your cost savings here. If you’ve ever suffered a heart attack, quitting smoking can reduce your chances of having another one by up to 50%. Vapour devices aren’t always the best solution as the nicotine and the smoking habit still exists. It’s not until you eliminate the habit that you become a non-smoker. How is Hypnotherapy Effective for Giving up Smoking? There are dozens of methods to stop smoking, including patches, gum or prescribed drugs. The effectiveness of these methods is varied, but many people struggle as they don’t help you at an unconscious level. Hypnotherapy works with the greater part of your mind, the subconscious mind, which is responsible for behaviour. By working with the subconscious, your desire to smoke is removed and the determination to stay a non-smoker is enhanced. It costs £1000 to give up smoking with a Hypnotherapist in Harley Street. I’m offering the same treatment here in West Sussex for far less. And you don’t have to get on the Tube! It’s taken me a few years to perfect my stop smoking treatment. Even though Hypnotherapy alone is enough, I want to cover all bases and make sure my client stops for good and is confident that this has happened. 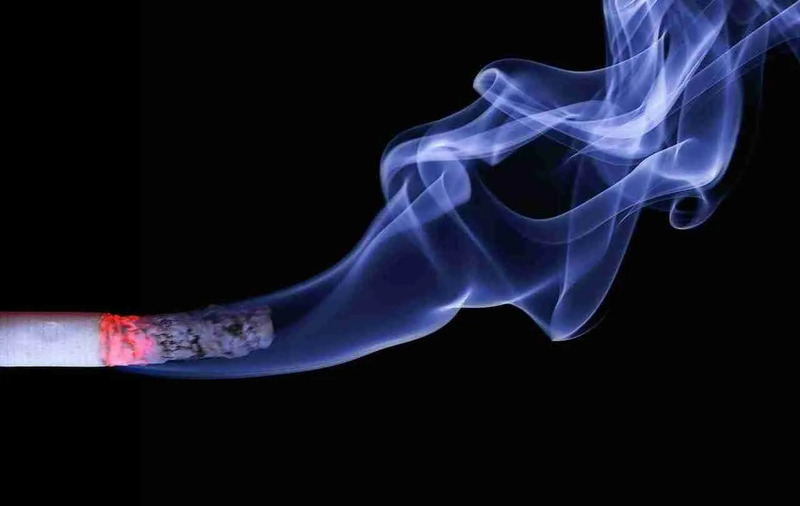 I now blend Hypnotherapy, NLP and tapping to deliver a stop smoking session which address any emotional reasons for smoking, the habit itself and the belief that you are now a non smoker. I build in strategies for not putting on weight, feeling like you are missing out and seeking comfort in smoking. These are issues I have found that people are concerned about when giving up. You will be able to cope with situations where you may have previously wanted to smoke. You will fully understand the reasons why you personally have given up smoking and buy into them at a deep unconscious level. 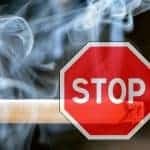 What is the Process with Stop Smoking Hypnotherapy? The stop smoking treatment is a one session treatment, where we’ll discuss your own reasons for giving up and wanting a healthier life. You walk in a smoker and out a non-smoker. Job done. You will also be given recordings to use at home, ensuring you retain the state of mind which tells you that you don’t need to smoke. 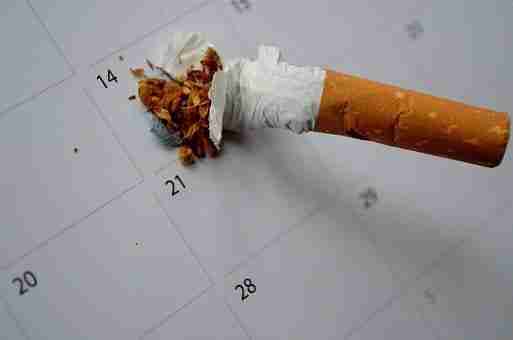 If you mention this blog when you call to book your stop smoking session I will give you £50 off the full price of my treatment so you stop smoking forever. Contact me now and book in. Do you want to know how to stop smoking in 2 hours? You can stop smoking in just 2 hours of Hypnotherapy with me. I’ve developed a really effective treatment to help you stop smoking in just 2 hours. You don’t need to struggle or feel like a failure for not being able to give up smoking on your own. It can be difficult without help and support. You’ve probably been thinking about giving up or been trying to give up for some time, haven’t you? You’ve thought about all kinds of ways you might deal with it and maybe tried a few of them, haven’t you? I work with you to stop you smoking in 2 hours. You might feel like smoking helps you deal with stress. In fact the opposite is true. The chemicals in cigarettes are in no way helpful to your body! There are over two thousand chemical compounds in cigarette smoke. Around thirty of those chemicals are known carcinogens and many are lethal poisons. Once inhaled, smoke condenses and about 70 per cent of the tar in the smoke is deposited in the smoker’s lungs. We are all aware of the most common chemicals, nicotine and tar, but what are the others? Arsenic is present in tobacco smoke, as is cynanide. Arsenic and cyanide! Both of these substances are instantly recognisable and extremely poisonous to humans. Benzene (petrol additive) – A colourless cyclic hydrocarbon obtained from coal and petroleum, used as a solvent in fuel and in chemical manufacture – and contained in cigarette smoke. It is a known carcinogen. Formaldehyde (embalming fluid) – A colourless liquid, highly poisonous, used to preserve dead bodies – also found in cigarette smoke. Known to cause cancer, respiratory, skin and gastrointestinal problems. Ammonia (toilet cleaner) – Used as flavouring, frees nicotine from tobacco turning it into a gas, found in dry cleaning fluids. Nicotine (insecticide/addictive drug) is one of the most addictive substances known to man, a powerful and fast-acting medical and non-medical poison. This is the chemical which causes addiction. Carbon Monoxide (CO) (car exhaust fumes) -an odourless, tasteless and poisonous gas, rapidly fatal in large amounts – it’s the same gas that comes out of car exhausts and is the main gas in cigarette smoke, formed when the cigarette is lit. When I help you give up smoking with Hypnotherapy, you will be so in control and so confident and strong, it might actually feel quite easy. I will provide you with recordings to listen to so your resolve is stronger than any craving. And if you were to have a craving, I will give you amazing techniques to use to get rid of that craving in less then a minute. No doubt one of your greatest and strongest desires is to have good health and renewed vitality. You know that your heart and lungs are the main parts of your body that sustain your health and energy. So as a non-smoker you respect and care for your heart and lungs. As a non-smoker, you are choosing health over sickness, strength over weakness, possibly life over death, and this gives you a tremendous feeling of satisfaction. What reason are you using for not giving up? Just take a look at this list and make sure you aren’t clinging on to smoking for these common reasons. It can really help to prepare for something. Like not packing at the last minute for a holiday or doing your shopping in preparation for a dinner party. Preparation makes you feel in control, organised and ready for the event. Here are some ideas of how you can prepare to give up smoking. Try saying out loud ‘I am a non-smoker’. Get used to it ans start believing it! What’s the best pain management solution?